Sophomore and President of the Black Student Union Awa Badiane. To identify as a womxn is to expect solidarity with others who identify the same way. The assumption that there is a universal womxn experience erases the nuances and variety that exists. This column seeks to address the intersections that exist in an effort to celebrate and deconstruct the reality of being a womxn. 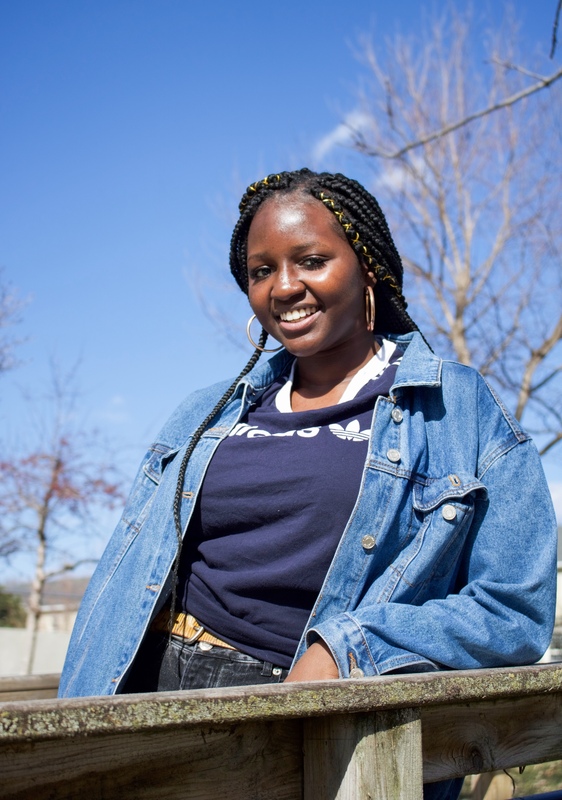 As current President of the Black Student Union (BSU), a chair member of Community of Diversity Affairs (CODA) and a content developer at the Office of Communications, sophomore Awa Badiane has the reputation of being just a bit busy. After months of organizing and anticipating POC Empowerment Week and the annual production of Cultural Expressions, Badiane finally feels like she can rest. The energy created by the acknowledgement and celebration facilitated by the BSU that week was considerably dampened by The Lawrentian’s choice to use Badiane’s satirical portrayal of a racist stereotype as a summation of the event. There was outrage and hurt, but to Badiane, it sadly exemplifies the life of a Black womxn at a predominately white institution. An article Badiane recently read referred to the paranoia that comes with this phenomenon as spatial injustice. Public places become associated with fear and womxn are taught to be constantly vigilant. Rather than blame the assaulters, womxn are shamed for even daring to complete the simple act of walking to their destination. As with most things, growing up in New York City does come with a silver lining. Examples and legacies created by New Yorkers like Congresswoman Alexandria Ocasio-Cortez empower Badiane. The constant exposure to various cultures also made diversity seem like a natural facet of life. “It’s interesting because when I was growing up, I was never aware of my race,” Badiane said. “I grew up in Harlem, so everybody looked like me. Everybody in middle school looked like me or were Latinx—so they still looked like me. I went to one of the most diverse high school in the most segregated neighborhood in all of Manhattan.” Badiane maintains that while New York City is far from perfect, it has an inherent model for diversity that other places should aspire to recreate. The dissonance Badiane felt is one of the reasons why she recently has leaned towards the social theory of womanism over feminism. The distinction between the two is that womanism focuses on the experiences of Black womxn over the historic marginalization that traditional feminist structure allows. Womanism has increased in popularity as feminism and its history have undergone reexamination through a contemporary lens. Badiane tries her best to remain positive and passionate in the face of such adversity for the sake of her family. Laughing, Badiane recounts how at her high school graduation her sister accused her of “doing too much” once she saw the number of awards Badiane received. It was a joke, but Badiane credits her ambition for the success she has experienced so far. In the same way, Badiane constantly refers to the inspiration she received from older students, Badiane has made her presence known at Lawrence. Her voice has become an important one during campus discussions and many look to it for leadership.